Recipe No 38. Rose hip flowers and meadowsweet. A unique combination of 12 carefully selected aromatic botanicals, distilled in the copper pot still for a rich and soft taste. To create a truly elegant gin, we used rose hip flowers and meadowsweet, which are characteristic to Estonian coastline. Handmade distillates are the masterpiece of Liviko’s master distillers. Each bottle is finished by hand. 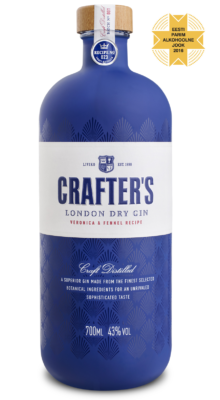 Crafter’s Aromatic Flower Gin is refreshingly aromatic, flowery. Round and complex. The rose hip flowers and meadowsweet are dominating. The sweet nuance of the flower petals is balanced by the bitterness of an orange peel, the freshness of yuzu and juniper berries. Taste is juicy, round, a bit bitter. A rich and elegant bouquet of sweet flowers and crisp juniper. The soft taste is balanced by the freshness of the citruses. Our master gin distiller experimented with the curious colour change of the rose hip petals. 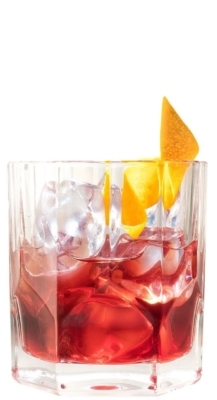 As a result the copper coloured gin turns to pink, when mixed with tonic. True gin magic!